My 2000 750i (Euro) car got really messed up after a recent coolent change by the local car resotoration garage. They use GM Red long life. After the change it would seem that the car had air locks in it, which resulted in the car pushing most of the coolent out of the radiator cap after a 45 minute /30 mile journey. So after the recovery man could not bleed it at the road side, it got towed back to the garage where we went through the whole process of getting the front of the car jacked up real high and 'bled' the system. But it still was not happy and I moved from topping up with distilled water to adding in BASF G48 to try and keep the 50/50 mix 'real' - yes mixing coolent types! So I took it to the dealership and explained what had happened and ask them to work out what was happening - head gaskets had already been mentioned by the local garage. What the dealership found streches my limited understanding of things. 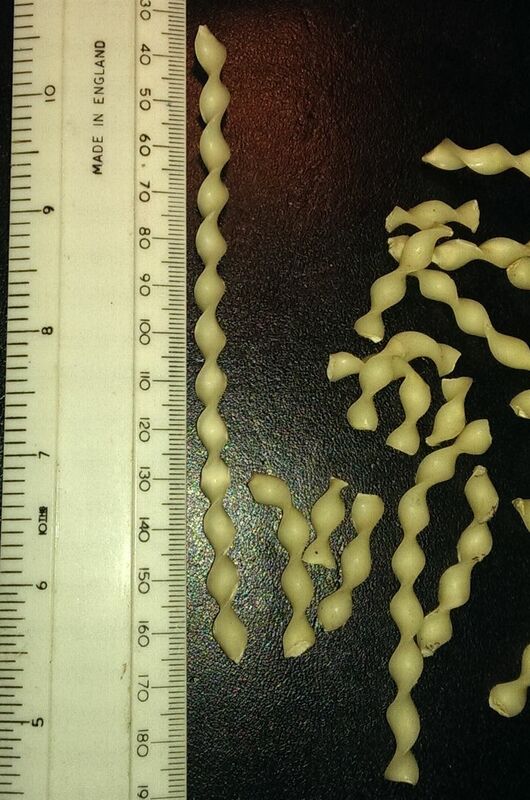 You can see the images below, this is a hard plastic non brittle material with a 10mm peak to peak measurement. 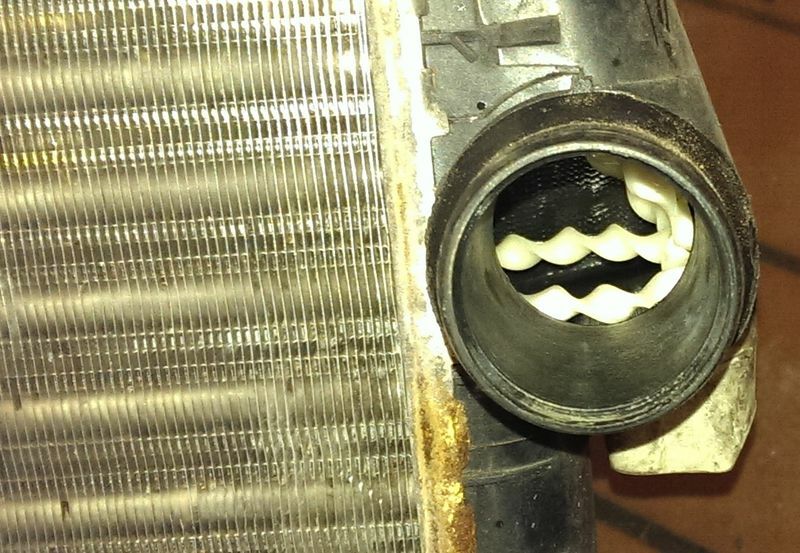 The dealership cannot identify this, and best guess is something from the structure of the radiator which has failed. Last edited by adrianw; 03-15-2019 at 12:05 PM.. In the first image you can clearly see the tubes in the radiator - is that a BMW part? I am thinking that maybe a previous owner put a non-standard radiator in place? This people at www.raysons.co.uk confirmed that it is part of the internal structure of the radiator. The sit inside the thick tubes and mix the fluid as it flows to encorage heat disapation. Last edited by adrianw; 03-16-2019 at 03:42 AM..